On a bitter cold night in NYC, we enjoyed a meal that warmed our souls. Atoboy has been on my bucket list for a while. My daughter raved about Atoboy. She had been several times. 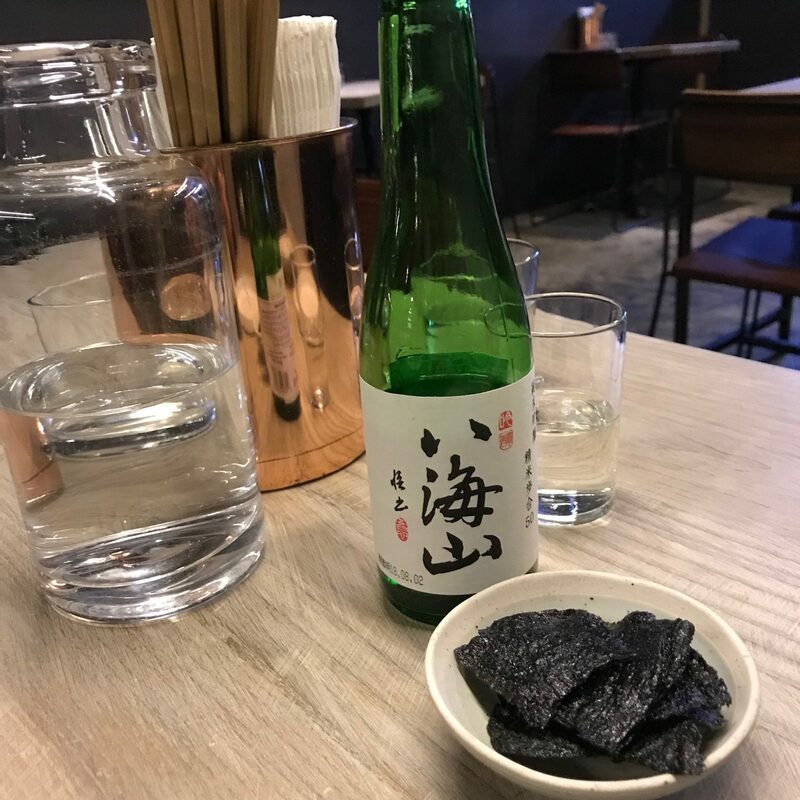 I was a bit reticent since my experience with Korean food beyond Danji and Oiji has not always been satisfying. 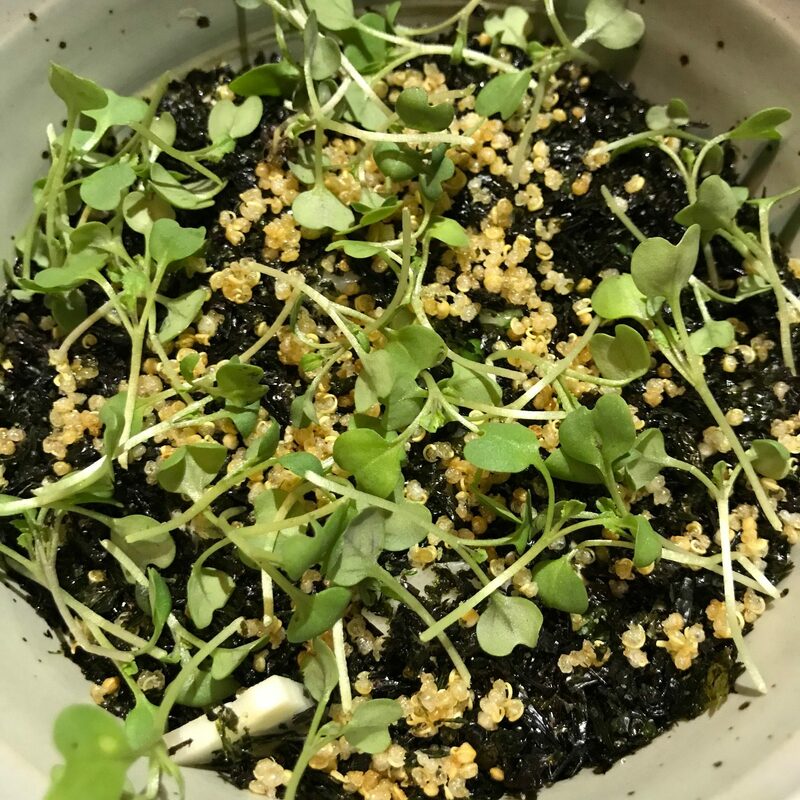 the Husband and wife duo, Chef Junghyun Park and manager Ellia Park, have created a terrific dining experience. Chef Junghyun Park is the former Chef de Cuisine at Jungsik, a two Michelin starred Korean restaurant in New York. Ellia Park worked at Kajitsu, Maialini and Noreetuh. The interior conveys an industrial feel using concrete and wood, culminating in appealing clean lines. You might share a table, but we dined early so it was not an issue. 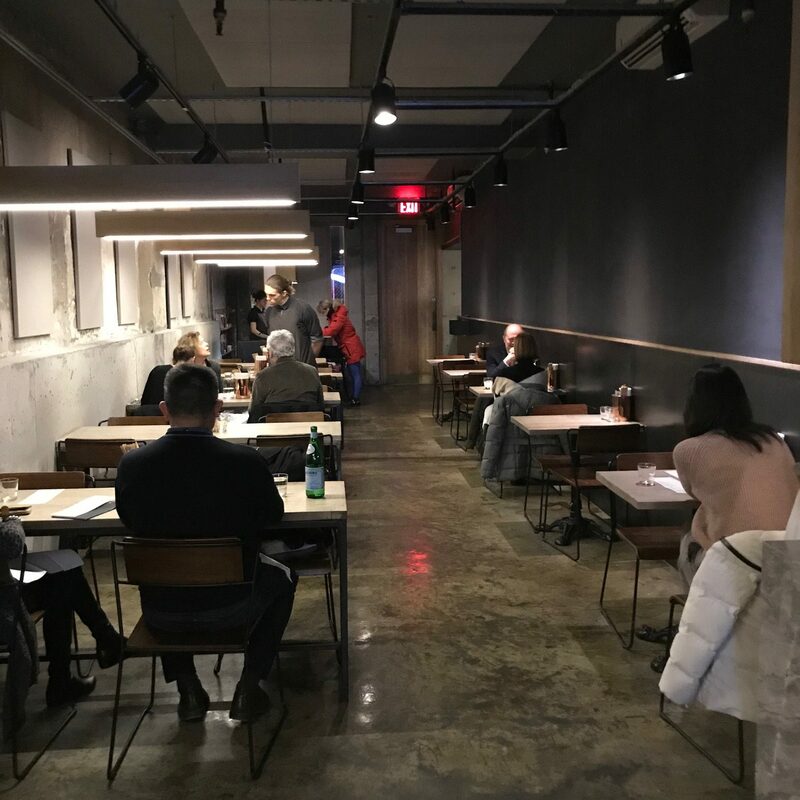 The restaurant offers a three course dinner for $46 with selections from three categories and additional a la carte items such as Oysters ($19, $34) Fried Chicken ($23), Berkshire Kurobuta Pork Rib Ssam ($49) and 35-Day Dry-Aged Ribeye ($85). 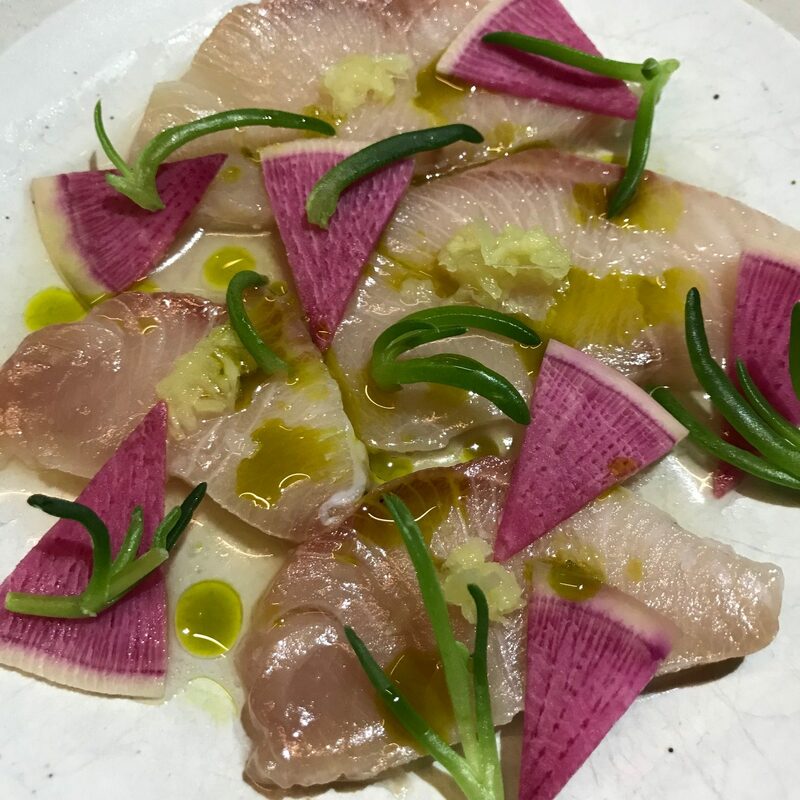 Our daughter prompted us and we started with the Hamachi which was tender and flavorful accented with watermelon radish. Our first selection was accompanied by Hakkaisan, deliciously dry and smooth Saki $33). Next we dug into a fabulous Raddichio salad with a smoked soy dressing. 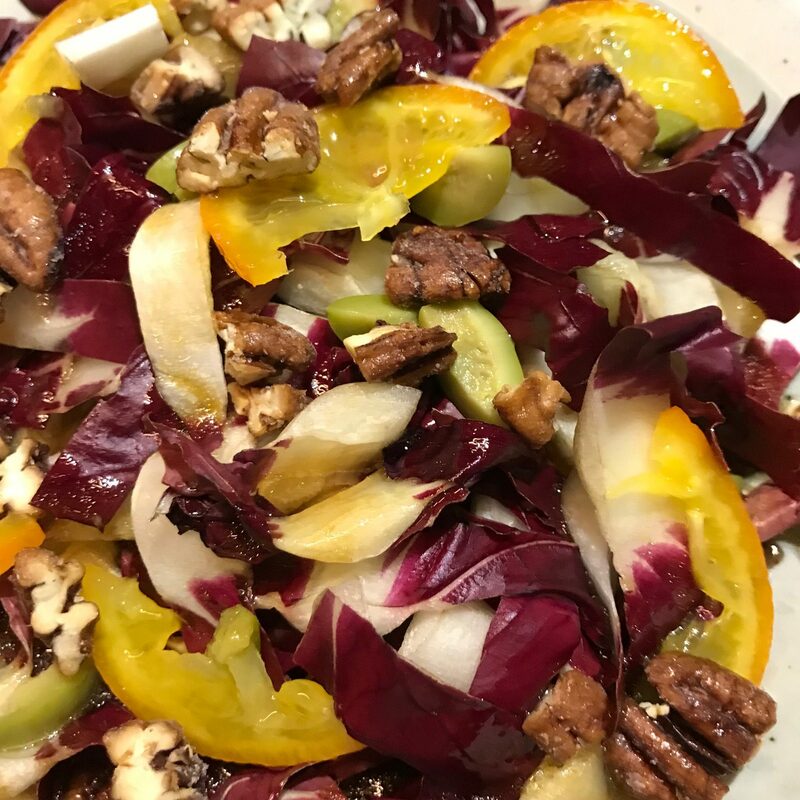 The Orange slices, nuts, olives and burata added to the wonderful taste…make sure to toss the salad thoroughly. 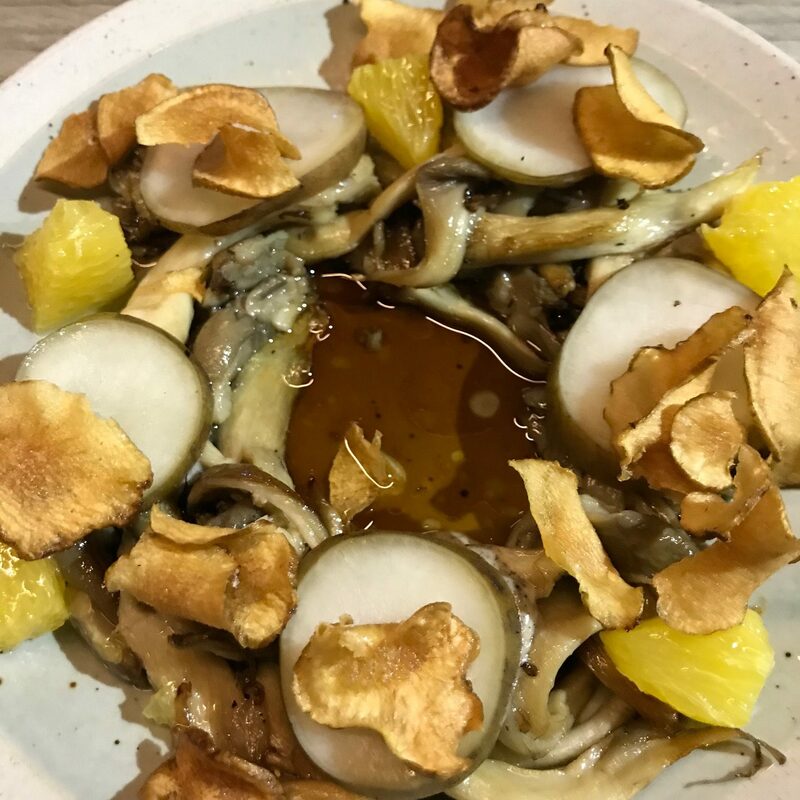 From the second grouping we selected an amazing Sunchoke dish embellished with oyster mushrooms, black truffle and orange. The Egg with uni sauce and hearts of palm was delectable. You can add Uni for a $10 supplement. The Uni was from Maine and it is often bitter not sweet like Santa Barabara Uni so we passed. We went our separate ways with the mains. 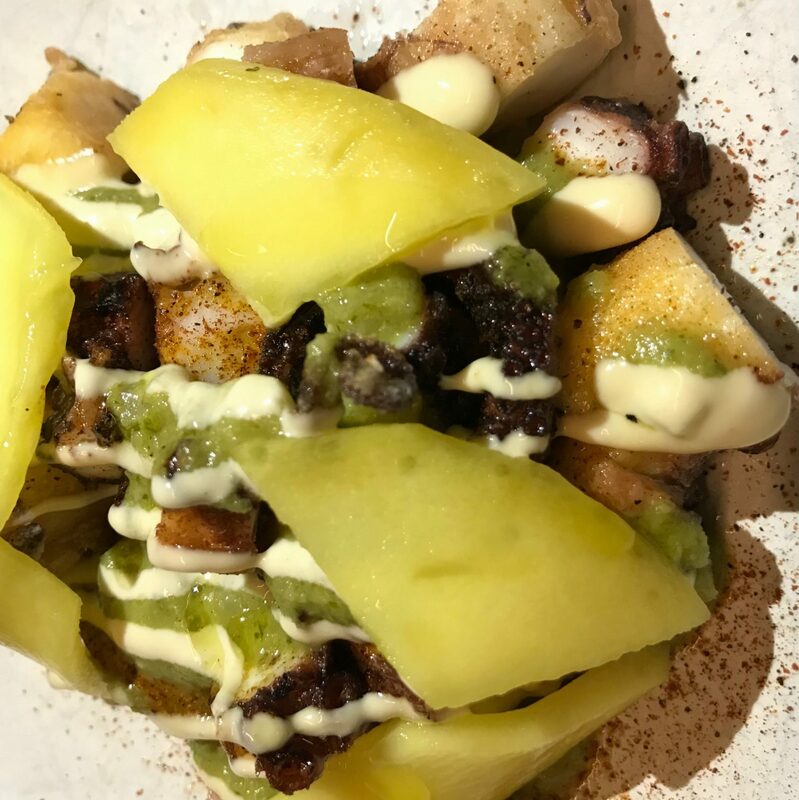 David chose the lightly fried Octopus cut into small chunks with mango and mojo verde. He chose the octopus over the Mackerel option. 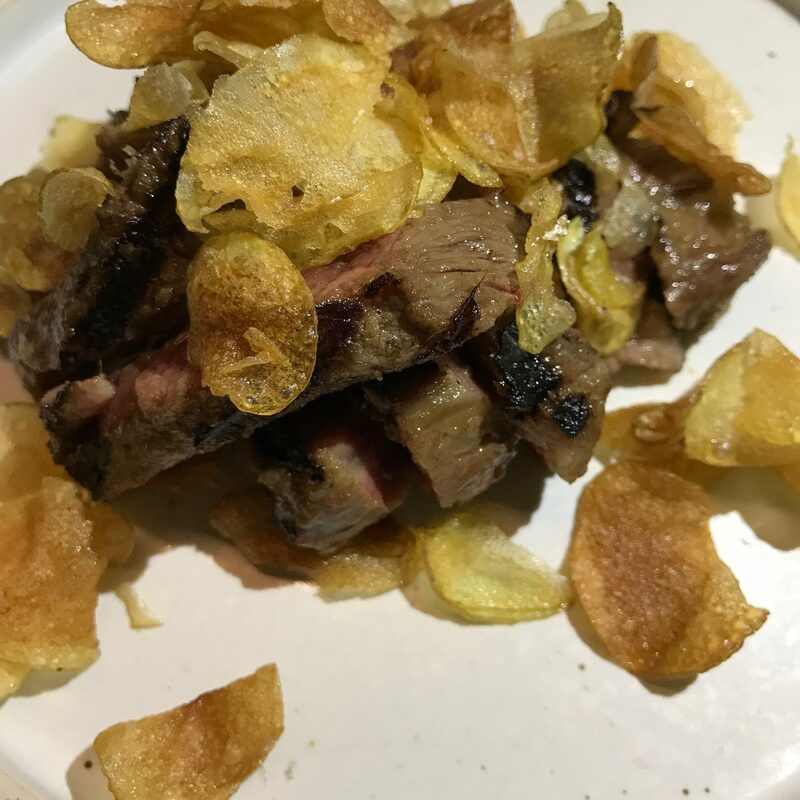 I went with Galbi, a deliciously tender and flavorful beef with black truffle, potato, kimchi and a spicy sauce which I asked for on the side. The dish was marvelous. Nightly, you are offered a special rice mixture for $2 extra. 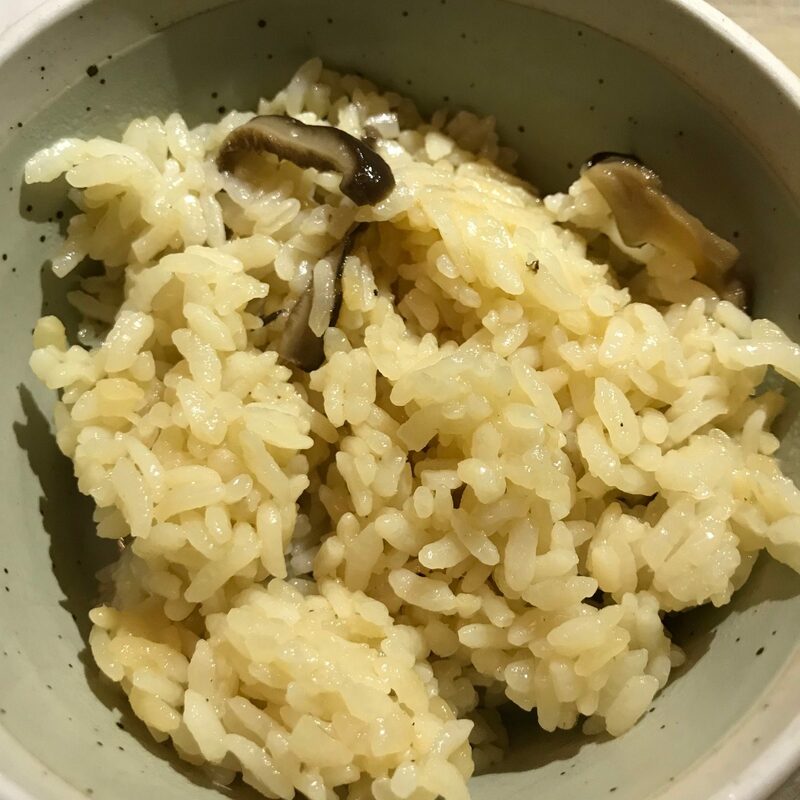 The mushroom and soy combination was flavorful. White rice is included with the meal. Service was efficient and friendly. 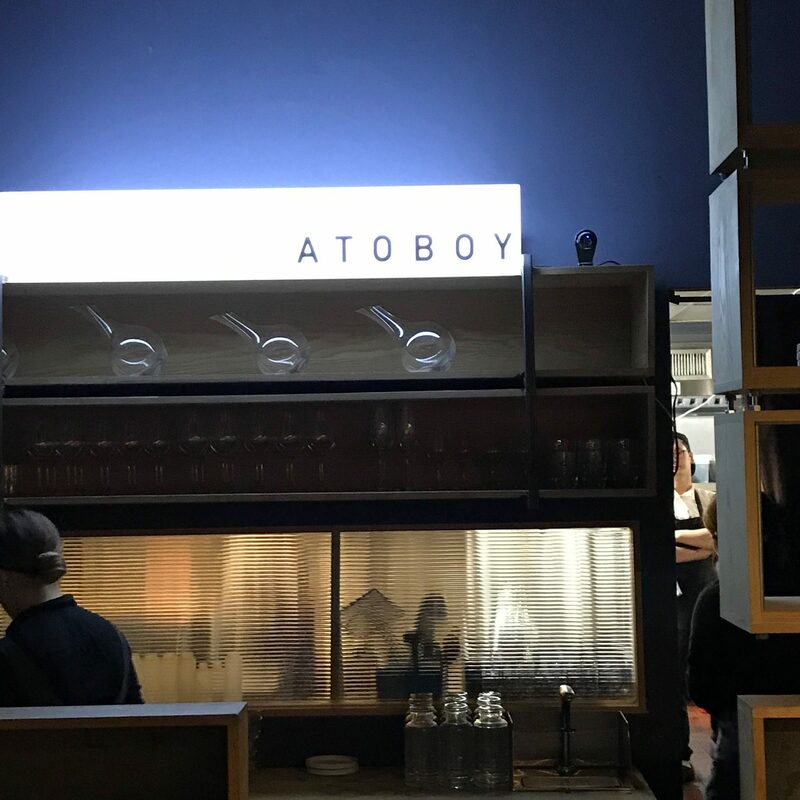 Atoboy is a modern take on Korean food, offering a delectable, reasonably priced, memorable dining experience. Atoboy 43 East 28th Street between Madison and Park. Open nightly for dinner 5:30-10pm, Sunday 5:30-9pm. Reservations on Resy. It looks fabulous and the presentation is beautiful. Thanks for the recommendation. I’m running.